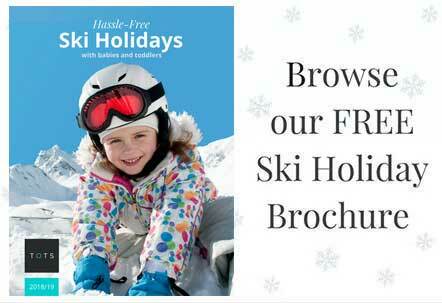 Family ski holidays made easy. . .
Our ultra-child-friendly ski holidays allow you to enjoy family time at some of the best ski resorts in the Alps. You can hit the slopes while youngsters have oodles of fun with the professional childcare team in dedicated chalet playrooms, out in the snow or at ski school. A ski holiday with the kids is not only possible but is also super fun at these top class ski chalets designed specifically for families and located in family orientated resorts. They all have flexible in-chalet childcare provided by UK recruited staff, luxury interiors including family suites, high-quality catering and our Baby and Toddler Essential Kit Guarantee so you’ll have all the essentials while you’re away. Seasoned skiers will know that ski holidays are a little different to other holidays, with shared chalets and a very sociable living experience; the kids will love the homely vibes and making new friends. Exclusive for Tots customers: Free children’s ski and boot hire (ages 3-12) with every adult that books their ski and boot hire at the time of booking. Choose which resort is best for you and your family by checking out our handy comparison tables below. Once you’ve picked your resort, you can take a look at the chalets that we have selected there. Please send me your weekly newsletter with family friendly holiday inspiration and tempting offers. An ideal Alpine base for families with excellent ski schools and lots of après ski activities. Just a minute’s walk from the chalet, you’ll be able to hop straight onto a ski lift up to Plagne Centre, so you won’t have far to go to get on the slopes. The slopes are ideal for skiers and snowboarders from beginners to experts. The most traditional resort, Les Gets is beautiful with real alpine charm – the picturesque and lively little village is laid-back with a selection of relaxed bars and Savoyard restaurants. For a variety of runs, it has access to the huge Portes du Soleil ski area. Les Gets is great for non-skiers too, so if you’re bringing along a family member who doesn’t fancy hitting the slopes, they’ll have plenty to do. A purpose-built ski resort with great positioning within the Three Valleys region – it has easy access to the whole incredible ski area. The chalets that we have selected at Les Menuires are all within the smaller satellite resorts of Reberty 2000 and Les Bruyeres, two lovely little villages, which are tucked away in quiet, family-friendly areas. A super homely chalet in a great slopeside location. The largest chalet we offer with family suites, hot tub, spa room, playroom and dedicated in-chalet childcare. Book this superb family friendly chalet with family suites, excellent in-chalet childcare, just five minutes’ walk from the slopes. Check out these super child-friendly chalets, just moments from the lifts, where your kids will have a fabulous time whilst you can ski to your heart’s content. Designed with families in mind, this award winning chalet has superb facilities, stunning views and first class childcare. Plus it’s only a quick ski to the chairlifts. Come here for a luxy twist on your family ski holiday, with in-chalet childcare, family suites and a huge ski area on the doorstep.